Debates over migration have kept Europe on edge. 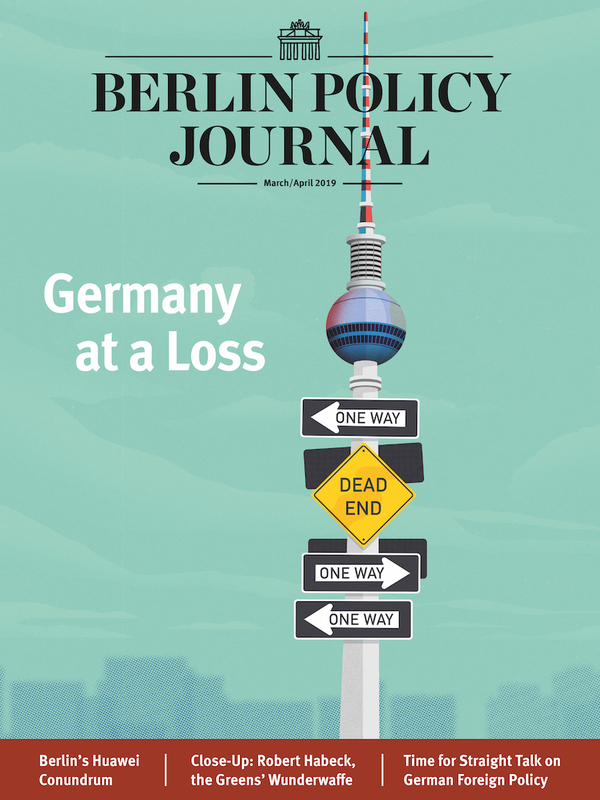 In June, the German government nearly collapsed over the issue. How can the EU meet the asylum challenge? Migration expert Alexander Betts explains. The arrival of over a million of refugees and migrants over the past few years has spooked Europe and emboldened the continent’s populist right. Yet many more are forced to seek shelter in poorer countries. Which states host the most refugees today, especially refugees from Syria and Afghanistan? Eighty-five percent of the world’s refugees have gone to low- and middle-income countries. And it’s important to recognize that a lot of them are geographically concentrated. So about 60 percent of the world’s refugees are in just ten host countries in, broadly conceived, the developing world. The overwhelming majority of Syrian refugees are hosted by Turkey, Lebanon, and Jordan. Only one European country features in the top ten of refugee-hosting countries, and that is Germany. How does a refugee’s lot in the developing world compare to one living in Europe? It’s challenging to calculate the ratio of spending on a refugee in the developing world compared to Europe, but a crude estimate is that roughly one euro is spent on every refugee in a developing country for every 100 euros spent on a refugee in Europe. The EU still hasn’t developed a coherent asylum policy. One recent idea is to set up disembarkation centers—refugee camps based in third countries like Libya. How would you describe the EU’s approach so far? Europe is struggling to find common ground for a European asylum system. We saw enormous divisions at the EU summit in June, where two proposals were put on the table: one was that the European Commission would explore the idea of disembarkation centers, and the other was the idea that member states could consider introducing closed reception centers, where the status of refugees would be determined. The disembarkation centers idea has subsequently been fleshed out a little. It is meant to allow ships crossing the Mediterranean to know where they can dock to avoid the pushbacks we have recently seen in the case of the Aquarius and other boats. A number of European governments are willing to take this idea forward. At the moment, the focus seems to be on opening disembarkation centers in designated areas in Europe, but alongside that, there could also be designated disembarkation areas in some of the North African states. The important thing is to continue saving lives and to uphold a viable rescue-at-sea system. The longer-term challenge is to set up disembarkation points that are geographically close to the Mediterranean, but are also manifestly not final destinations. There needs to be a way of assessing asylum claims, but in a way that maintains public trust. It has to be clear that people who disembark cannot just disappear somewhere into the cities of Europe. Will disembarkation centers stop smugglers and keep refugees from making treacherous journeys? What else is needed for a sustainable European policy? A sustainable migration framework needs to be based on a whole series of elements. Migration is obviously complex and diverse, but if we think broadly in terms of policies for economic migration on the one hand and policies for refugees on the other hand, there are different things that we need to do. On the refugee side, we need to provide adequate protection and opportunities for empowerment to the majority of the world’s refugees who are in low- and middle-income countries. That’s not just about humanitarian assistance; it’s about development aid in the ten countries that host 60 percent of the world’s refugees. Further downstream, if we get that right, it will reduce the number of people in need of asylum in Europe. Nevertheless, we still have to address the asylum challenge in Europe. There are a number of ways in which we can do that. We have to ensure that refugee status determination produces identical outcomes no matter where it takes place—whether in safe haven countries in Africa or in any particular European country. The outcomes must be identical and predictable to ensure that would-be asylum seekers understand whether they have a valid asylum claim or not. We need to make sure that embassies and consulates in a refugee’s region of origin can assess those claims before people even get to transit countries like Libya. As for those who do reach Europe—we must have a way of equitably sharing responsibility across Europe. The Dublin system is manifestly not working, and we need to separate the country responsible for assessing the claim from the country responsible for settlement. It makes sense that frontline states like Italy and Greece should assess asylum claims, but it doesn’t make sense that they should have to provide sanctuary to all those accepted as refugees. We need to distribute refugees more equitably amongst the EU member states, and to do that, we need to take into account preferences. That’s where an idea like “preference matching” could come into play. That means looking at refugees’ ideal outcomes, looking at the preferences of the receiving countries, and trying to match them. What about economic migrants? I’d rather call them aspirational migrants, actually. They are people seeking a better life, to an overwhelming extent young and male, and disproportionately highly educated. They tend to see the route to Europe as their most important source of meaning and purpose. We have to find ways of restoring meaning and purpose nearer to those peoples’ countries of origin, so that they don’t embark on such dangerous journeys. Smuggling is a response to demand. It doesn’t necessarily create demand, and so the only guaranteed way to dismantling smuggling networks is to reduce the sources of demand by addressing refugee movements and aspirational migration movements. European politicians often talk about addressing “the causes of migration.” What about programs to increase economic development in Africa, do they work? It’s a myth that increasing development reduces the demand for migration. Actually, one of the most robust empirical relationships described in migration studies is the so-called “migration hump,” which shows that in the short-term at least, an increase in GDP per capita leads to an increased demand to emigrate. But this relationship needs to be disaggregated more than social scientists have done so far. The question is, which type of development has which kind of influence on migration? There’s reason to believe that if we look at particular types—developments that change narratives, networks, perceptions or aspirations—that those may have an effect on certain types of migration, like aspirational migration or secondary movement of refugees. 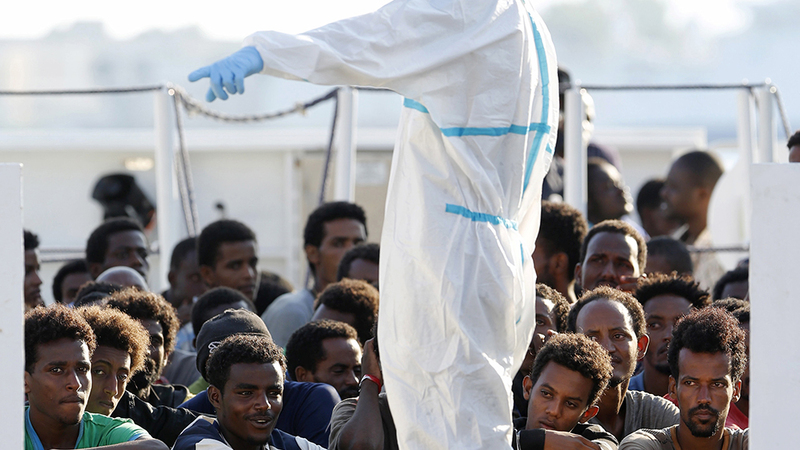 In your book Refuge, co-written with Paul Collier, you introduce the concepts of the “headless heart and the heartless head.” Are states like Italy that restrict NGOs from rescuing migrants in the Mediterranean an example of the latter? We use the distinction in a very broad sense when recounting the recent history of European asylum policy. At the start of the Syrian refugee crisis between 2011 and 2014, we ended up with an effectively heartless and headless approach: Europe was sitting on its hands and doing nothing as millions of desperate Syrians moved into Lebanon, Jordan, Turkey, and Iraq. What Europe should have done during that period is to provide sustainable development to the countries that allowed refugees to remain. Instead, it got to the point where those countries in 2014 began to close their borders. Humanitarian aid budgets for Turkey, Lebanon, and Jordan were all cut, and Syrians in many cases had no choice but to try and move on to Europe. But then we ended up with a flip towards, if you like, the headless heart when some European leaders overcompensated. 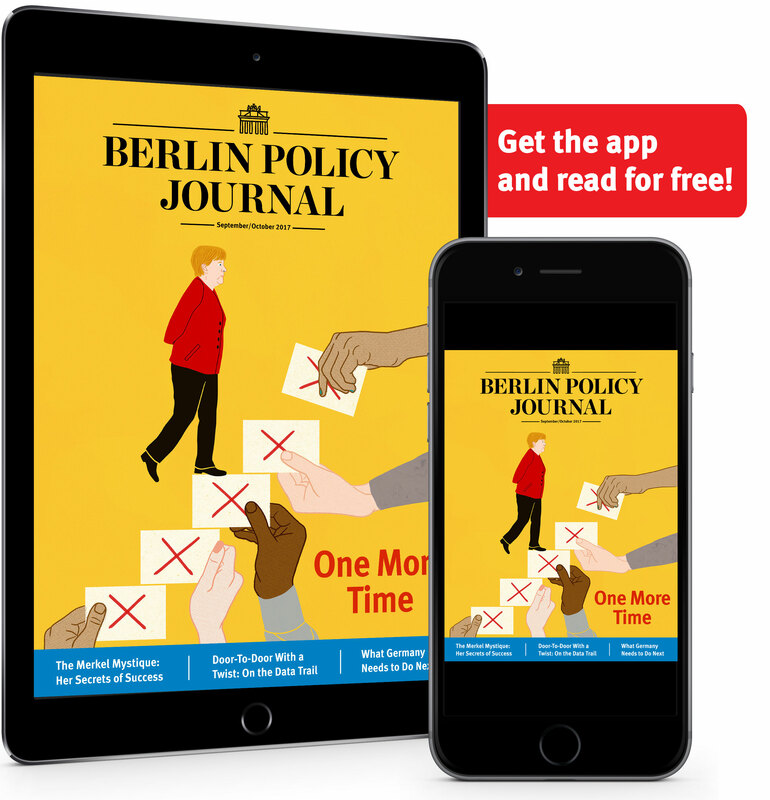 German Chancellor Angela Merkel, without, to my view, consulting anyone in Europe or in Germany, suspended the application of the Dublin system at the German border and announced, “Wir schaffen das”—“We will cope.” What on the surface was a deeply humane act proved not to be sustainable. So between the end of August 2015 and putting together the EU-Turkey agreement on refugees between January and March 2016, there was complete U-turn in Germany’s refugee policy. What is now needed is a balance between heart and head. We have to be compassionate towards refugees, but we also need to recognize what our moral obligations are and what they are not. We need to come up with ways to ensure that all refugees around the world have access to a safe haven, have access to autonomy, have access to a route out of limbo. And we need to do all that in a manner that is compatible and consistent with democracy. The interview was conducted by Noah Gordon. is a professor of forced migration and international affairs at the University of Oxford.